Congratulations Dr. Tewodros. You made us proud. You made Africa pround. As you said it rightfully, Meles’s vision is rolling out and bearing a fruit. Keep shining, make your country and Africa proud. May God bless you and our country. With regards to the haters, they are seriously ill. They need a medicine and I believe it is on its way. Their brain cannot take any advice. They will continue barking until they go to their graves. So, keep going and make history. Congratulations Dr. Tewodros. You made us proud. You made Africa proud. As you said it rightfully, Meles’s vision is rolling out and bearing a fruit. Keep shining, make your country and Africa proud. With regards to the haters, they are seriously ill. Their brain cannot accept any advice. They need a medicine and I believe it is on its way. If not,they will continue barking until they go to their graves. 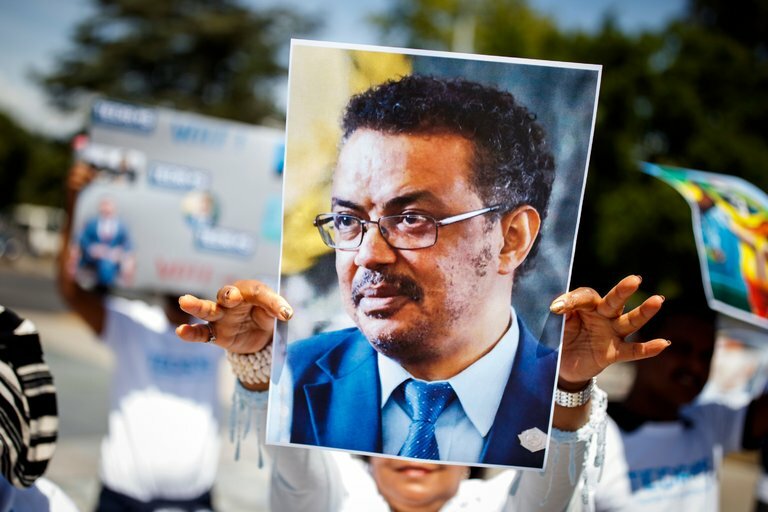 So, as you always do, look the big picture, focus on your goals, show the world that Ethiopia has visionaries who can change the world, and and make history. May God bless you, your family and Ethiopia!